The excellent extra class of trekking e-bikes. High-class equipped "Made in Germany" e-bike, where a lot of importance was placed on the best riding characteristics as well as safety. 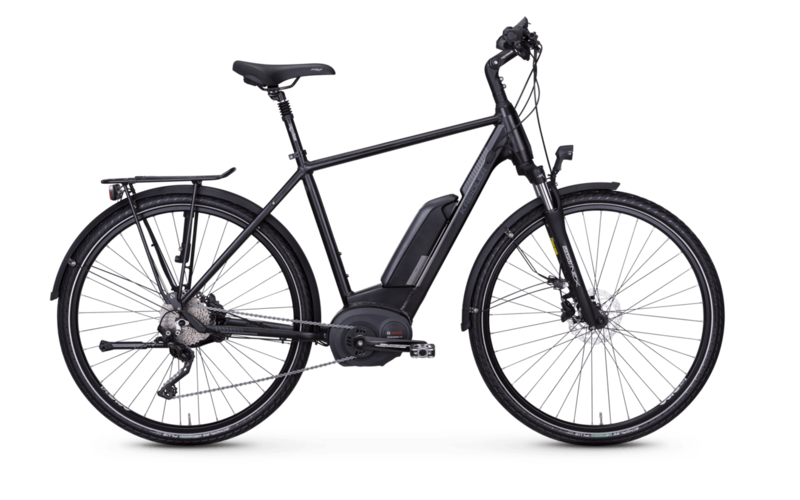 As with all e-bikes, the frame of the Vitality Eco 6 edition is also exposed to greater stress due to the stronger acceleration and higher speed. Thanks to an aluminium frame manufactured using hydroforming, this electrically driven bicycle convinces with high stability and smooth running. The Bosch E-Bike Performance mid-mounted motor impresses with its low weight and powerful support. In addition, the easy-to-use Intuvia on-board computer not only provides you with a wealth of useful information, but also allows you to easily set the 5 different driving modes. The rest of the equipment of this e-bike is also dedicated to safety: powerful hydraulic rim brakes from Shimano Altus ensure precise braking, whilst Schwalbe e-bike tyres guarantee first-class traction.